The most popular video streaming service Popcorn Time stopped working on October 23. Although it’s not the first time the service is down, it might be down forever now since the threats of possible legal actions against developers and users became bigger. Due to these threats, some of the core developers of Popcorn Time decided to leave the project. One of these developers was the owner of the most important domain name (popcorntime.io), so the domain name had to be transferred to another developer but they couldn’t convince the responsible host (gandi.net) to make this transfer. Due to these problems, one of the remaining developers who named himself Wally, announced that he had shutdown all servers because there was nothing he could do anymore (Morris). The developers immediately announced another service for their users, namely Butter. They claim this will be a legal version of the earlier service popcorn time. It will probably be very similar to the service of popcorn time since they claim “this new project, hosted on GitHub, is basically your beloved Popcorn Time Stripped down of the parts that made people wary” (Lanaria). According to the developers, this new service will not allow people to stream copyrighted material. They claim that the content, which will be available on Butter, will consist of free content on the web (Lanaria). Although this seems to be a good legal alternative, it looks like the developers try to make Popcorn Time’s technology a legal service, but they will allow users to add content (Williams). The fact that users can add content to the service, causes that the question remains where this is going. It seems that the developers of Butter are trying to bypass any threats of lawsuits due to copyright infringements by offering a service, which at first seems to be only supporting legal content. It seems like legal content because they mention in their announcement post, that at this moment all the content on Butter sustains of content free of copyright infringements, which can be found on vodo.net. Next to this, they ask readers if they know any other sources, which have more of this kind of free content to expand the content, which can be streamed via Butter. Although it seems the developers gain a positive attitude towards copyrighted content, in my opinion the fact remains that the streaming service will cause that people will use this service to illegally download and stream movies and TV-shows. The developers of Butter will not advertise illegal content and won’t provide any links to copyrighted material themselves, but the program will still be able to stream content from torrent sites. So, the only thing their changing is that their not providing the links to the torrent files anymore, but they also doesn’t prevent their users to look for the torrent files themselves and use the Butter service to illegally stream movies and TV-shows (Allen). The way this works has already been implemented in de Popcorn Time service. If you start Popcorn Time at this moment you will see all the servers are down, but there is a button available which allows you to seek torrent files and use the service to stream those files. The users who will use Butter to stream copyrighted movies and TV-shows will have to deal with enforcers who will try to fine the users that contribute to the facilitation of copyrighted material via this streaming service. Although more and more reports are made that users of Popcorn Time are fined (which will be the same principle for Butter users who are streaming copyrighted material) it still remains a challenge for the enforcers to track the users who are in violation. Due to privacy concerns, Internet Service Providers (ISP’s) are not willing to give IP-addresses to enforcers, which are important for the possibility to track the users in violation. A judge might be able to force the ISP’s to make these addresses available but only if privacy matters weigh less than the violation made (Verlaan). At this moment it’s not completely clear if ISP’s can be forced into giving away IP-addresses, which can also differ in different countries. Even if the enforcers are able to gain IP-addresses from violators, users still have the possibility to use VPN connections (Popcorn Time had a VPN connection build in), which helps them to protect their real IP-addresses and make it even more difficult for enforcers to track these violators (Verlaan). Apparently the developers of Popcorn Time got scared due to the threats of possible lawsuits. Some ran off, and some tried to find a solution to bypass any threats made by enforcers. Butter seems to be this solution, since the service is promoting itself as a service, which only allows users to stream legal content, but still give people the possibility to stream content via torrent files. By doing this, the developers shift the target of the copyright cat-and-mouse game back to the torrent sites, which in my opinion, is always the main cause for piracy content. Allen, Ashley. 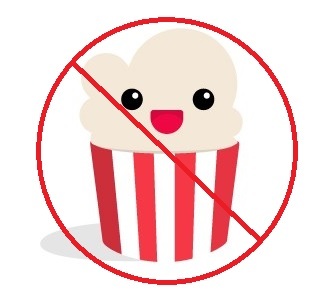 “Popcorn Time Returns as Copyrighted Content-Free Project Butter.” Eteknix 2015. 26 October 2015. <http://www.eteknix.com/popcorn-time-returns-copyrighted-content-free-project-butter/>. Butter Project. 2015. Butter Project. 26 October 2015. <http://butterproject.org/>. Lanaria, Vincent. “Torrent-Streaming Site Popcorn Time Shuts Down Permanently: Makers Launch Legal Alternative Project Butter.” Tech Times 2015. 26 October 2015. <http://www.techtimes.com/articles/99067/20151024/torrent-streaming-site-popcorn-time-shuts-down-permanently-makers-launch-legal-alternative-project-butter.htm>. Morris, Paul. “Popular Popcorn Time Variant Shuts Down.” Redmond Pie 2015. 26 October 2015. <http://www.redmondpie.com/popular-popcorn-time-variant-shuts-down/>. Williams, Owen. “Popcorn Time Creators Back Away From Copyrighted Content With ‘Project Butter’.” The Next Web 2015. 26 October 2015. <http://thenextweb.com/apps/2015/10/23/popcorn-time-creators-back-away-from-copyrighted-content-with-project-butter/>. Verlaan, Daniel. “Popcorn Time-paniek: krijg je een schadeclaim op de mat?” RTLZ 2015. 26 October 2015. <http://www.rtlz.nl/tech/popcorn-time-paniek-krijg-je-een-schadeclaim-op-de-mat>. « Yeah, the “dislike” button is finally here – but it does not like this!